Food-wise, Thanksgiving is different across the country. In some places you're going to get a lot of chitterlings and collard greens, while in others, turkey and mashed potatoes. Personally, I'm a big fan of the 10-course Chinese feast, but to each his own. 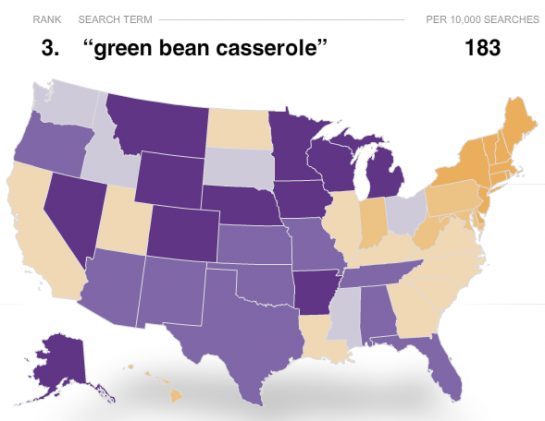 The New York Times (Matthew Ericson and Amanda Cox), map what's cooking in your neck of the woods based on searches on Allrecipes. 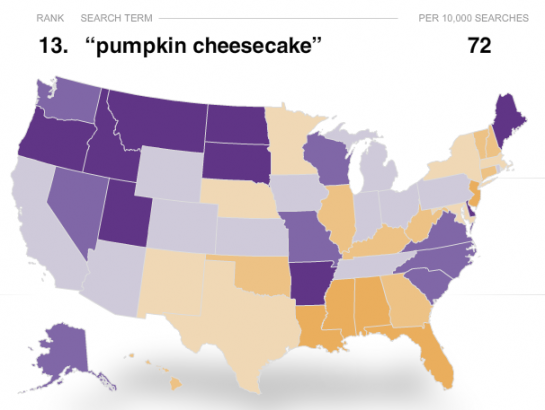 The top search, concentrated in the southeast, was sweet potato casserole. I have no idea what that is, but it must be delicious. 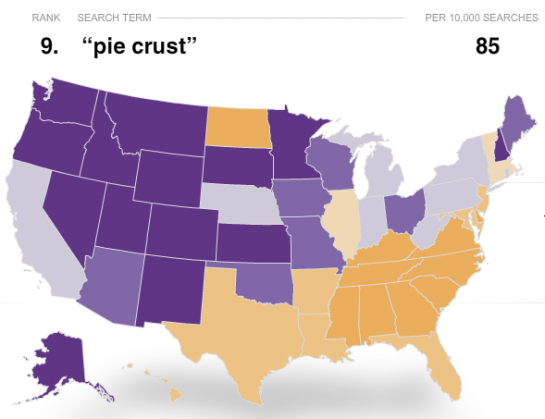 Other popular searches include pumpkin cheesecake, green bean casserole, and pie crust. Catch all top 50 searches here.